Own This Top-Rated IT and Computer Franchise! 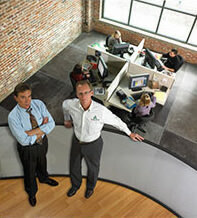 TeamLogic IT was formed to become the go-to IT team for small and medium-sized businesses. We offer fast responses to IT challenges — but more importantly, we act as an IT adviser to our customers, helping them take proactive approaches to their technology so that their businesses becomes more efficient and profitable. We also offer managed IT services, remote monitoring of computers and networks, and data backup and disaster backup solutions. Managed IT services: For many small businesses, downtime is not an option. TeamLogic’s core services include data backup and recovery; network architecture, maintenance and remote monitoring; virtualized network environments to allow businesses to access and manage data even during a disaster; cloud services; tools to fight virus, malware and spam; patch management; and 24/7 monitoring and help desk. These services provide strong recurring revenue for TeamLogic IT franchise owners. Software and hardware sales: TeamLogic has used its nationwide network of franchisees to secure preferred vendors relationships with hardware and software makers, which allows TeamLogic owners to provide the latest technologies to their customers at a great price, while generating additional revenue. TeamLogic IT has been named one of the top 7 franchises by Franchise Business Review, whose annual FBR 50 list highlights franchises that have earned high ratings from their franchisees. 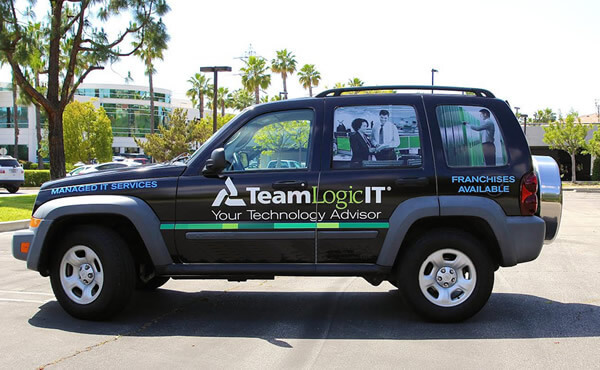 TeamLogic IT has been the top-rated technology franchise for two years in a row. TeamLogic IT franchise owners tend to have executive experience and either hands-on technical experience, or a keen interest in technology. Call your own shots and own a TeamLogicIT franchise! We invite you to find out more about TeamLogicIT and discover if a TeamLogicIT franchise is for you. Complete the form below and a member of our team will be in touch promptly. TeamLogic IT Franchise is currently accepting inquiries from the following states: Wyoming, West Virginia, Wisconsin, Washington, Vermont, Virginia, Utah, Texas, Tennessee, South Dakota, South Carolina, Rhode Island, Pennsylvania, Oregon, Oklahoma, Ohio, New York, Nevada, New Mexico, New Jersey, New Hampshire, Nebraska, North Dakota, North Carolina, Montana, Mississippi, Missouri, Minnesota, Michigan, Maine, Maryland, Massachusetts, Louisiana, Kentucky, Kansas, Indiana, Illinois, Idaho, Iowa, Hawaii, Georgia, Florida, Delaware, Washington, D.C., Connecticut, Colorado, California, Arizona, Arkansas, Alabama, Alaska.